Destruction from the flood near Herman Avenue. These two houses were swept from their foundations while others were destroyed. 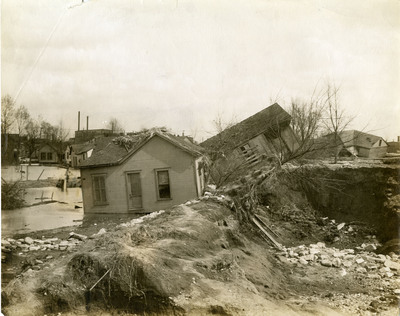 University of Dayton, "Houses lifted from foundations near Herman Avenue" (1913). Photographs and Postcards. 18.